Cattle-3000 fully electronic Animal Scale is designed for cattle weighing on site, in a stable or barn. The best customer value in the industry, it is perfect for cattle or large hog operations to sort animals that are up to weight. Upper containment frame constructed from 2" square tube, all welded construction with easy side and end removal. Gates slide wide open at each end, controlling cattle movement at all times. No swinging gates or unexpected animal release. 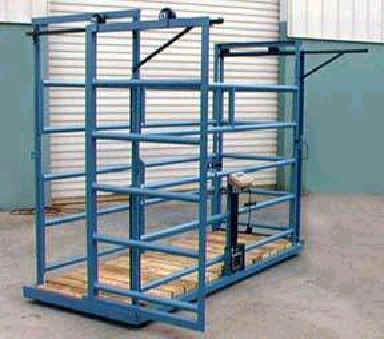 Scale provides for easy mounting of cattle racks or squeeze chutes. Complete assembly takes 45 minutes, all hardware included. The only tool required is an adjustable wrench. Scale delivered pre-calibrated and ready for assembly.